Ichinomiya City is just 10 minutes train ride from JR Nagoya Station. 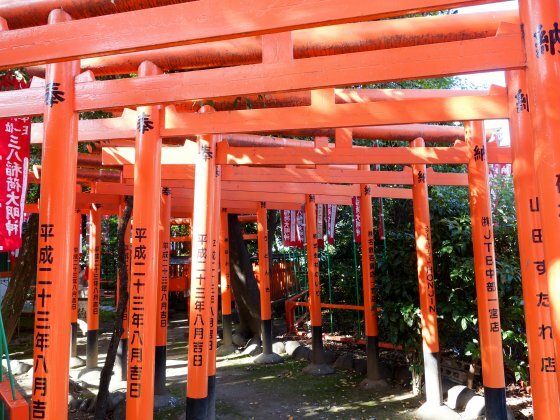 'Ichinomiya' literally means 'the first shrine of the region', the most important shrine (Masumida Shrine) in ancient period. Unfortunately the original buildings of the Masumida Shrine were burnt out by the bombing during the World War II. Current buildings were reconstruction after the war in exactly same designs. Main buildings are registered as National Tangible Cultural Heritage because of their unique forms. 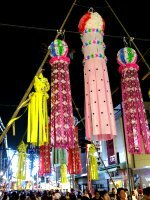 The Peach Flower Festival (Tokasai) in April and the Tanabata Festival are the most popular events. Other traditional events, such as the performance of traditional court music and dancing, and horseback archery are held occasionally throughout the year. 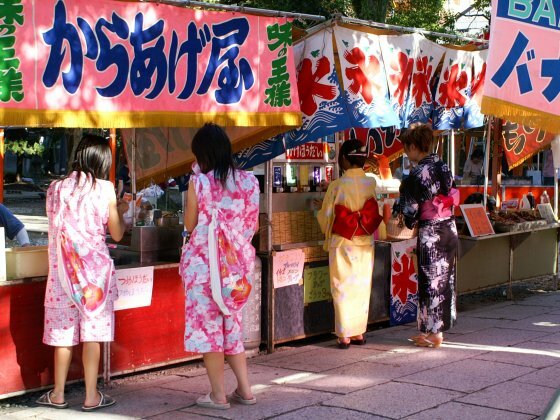 The photo shows the food stalls and ladies in traditional costumes during the Tanabata Festival. The schedule of such events are shown here (Japanese only). 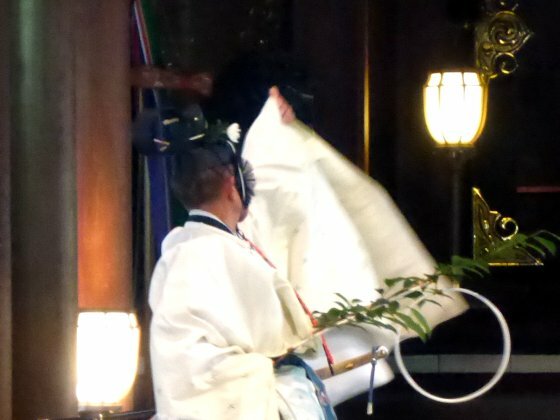 On Every October 15th, traditional music and dance, called 'daidai kagura' is dedicated to the gods in the main building of the Masumida Shrine. On Every October 15th, traditional music and dance, called 'daidai kagura' is dedicated to the gods in the main building of the Masumida Shrine, Ichinomiya City. This daidai kagura has its origin in 1782. There are several varieties of dances in Daidai Kagura. This is a boy's dance. 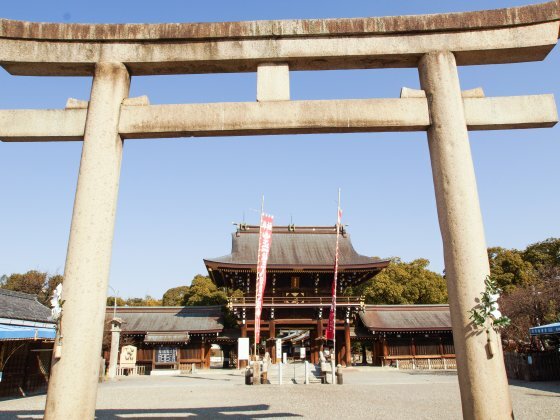 Masumida Shrine becomes popular as a power spots. 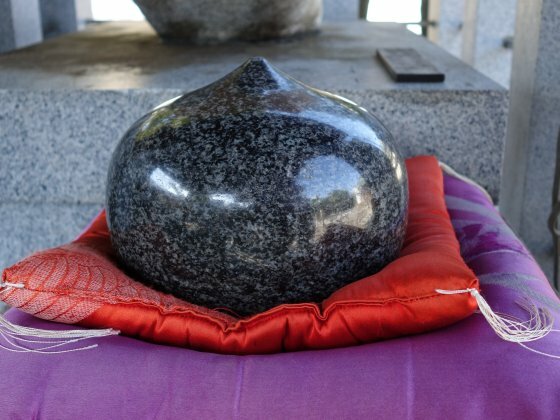 In the shrine precinct, there are some interesting objects such as 'Omokaru-ishi' (heavy-or-light stone, a fortune teller stone) and 'Unmei-no-akaito' (the red threads for match-making). In addition to the main shrine buildings of Masumida, there are several smaller shrines such as Hatori Shrine (the goddess of textile), Ryujin-sha for a legendary dragon, and Sanpachi-inari Shrine (photo above). The museum exhibits many cultural treasures. On the ground floor, horse-back decorations for the Peach Flower Festival are exhibited. Each of them represents a figure from Japanese mythology local legends. They are the masterpieces of Japanese traditional crafts. On the upper floor, some masks for traditional court dancers and lacquer tables from the middle age are exhibited. Most of them are registered as National Important Cultural Heritage. This museum is not open everyday. It is necessary to contact to the museum office to confirm opening days and to book. It is not allowed to take photos inside the museum. 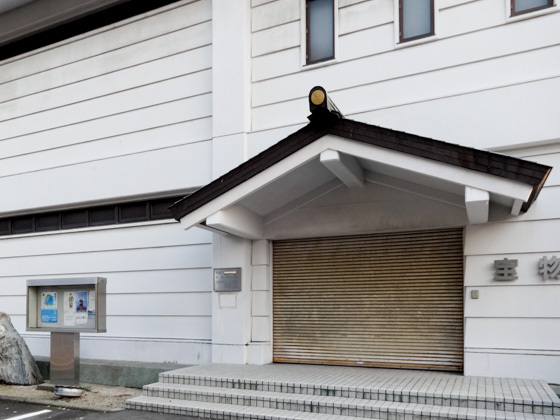 In front of the Ichinomiya Station, there used to be many wholesalers in textile industries and many buyers had visited there from all over Japan. However, there are only a few wholesalers remain now. Many of wholesaler shops were turned into restaurants and they attract new clients. The Honmachi Shopping Street located just south of the Masumida Shrine had developed from the temporal markets started in Edo Era (about 200 years ago). There are many types of shops such as greengrocers, general stores and restaurants that support the daily lives of the citizens. Each shop may not be so special but unique. Unfortunately, shops selling traditional things are in decline. On the other hand, those shops have been handed over for several generations and the shop owners are real professionals. 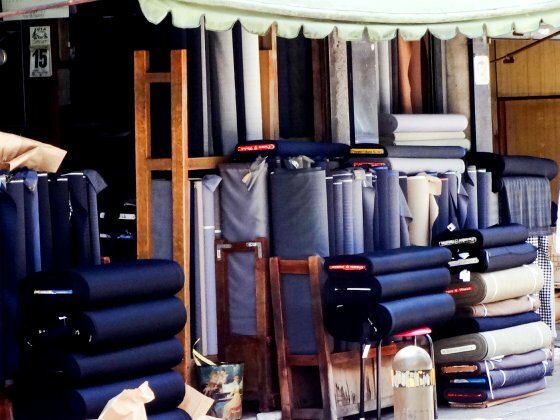 Unlike supermarkets and department stores, those shop owners give professional advises on the goods and services to the customers. Japanese traditional candles are made from wax squeezed from the seeds of wax tree (Rhus succedanea). 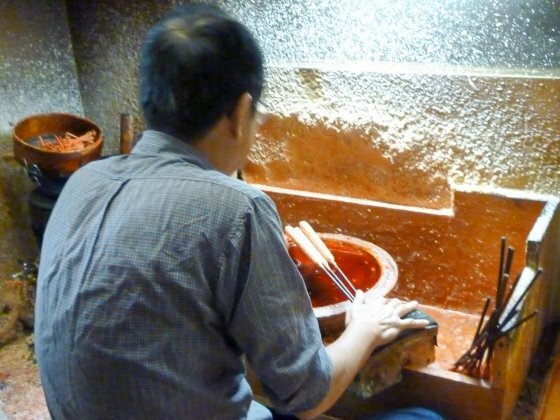 Tree wax is melted in a pot and repeatedly poured onto the wick made from igusa (a grass). Japanese traditional candles emit less smoke in comparison to their western counterparts. 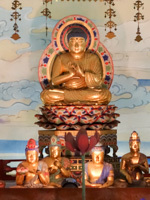 Thus, they are used inside the buildings, such as temples and home alters. Takeda Shoten makes Japanese traditional candles by a traditional method, which is rare to find in Japan nowadays. 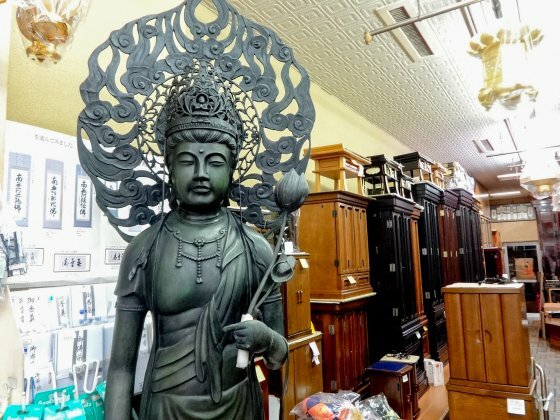 Kondo Buddhist Article Shop sells religious objects used by Buddhism and Shintoism. 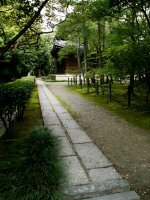 There are small Buddhist statues, wooden fish (a kind of drum), incenses, stamp books (goshuin-cho), and other articles. You may find some special souvenirs not available in ordinary souvenir shops. Ando Dried Bonito Shop specializes in the dried food such as dried bonito, dried mushroom and dried small fish, used for making 'dashi', basic broth for Japanese cuisine. Nowadays, most of Japanese families use instant dashi, while most of the families used to make their own dashi from self-shaved dried bonito. 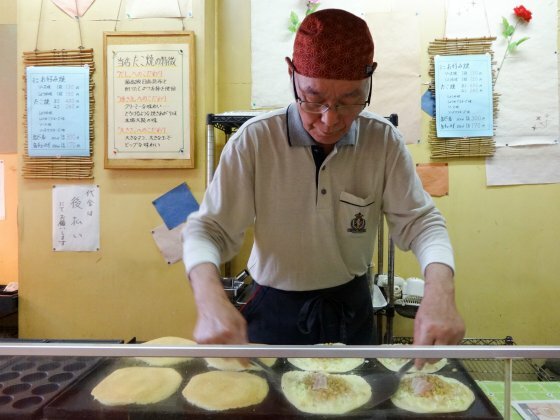 The shop owner of the Ando Dried Bonito Shop tries to revive the traditional practices by the demonstration of the traditional practices and tasting. Devil Buns (Oni-manju) is a traditional steamed sweet made from wheat flour and sweet potatoes. 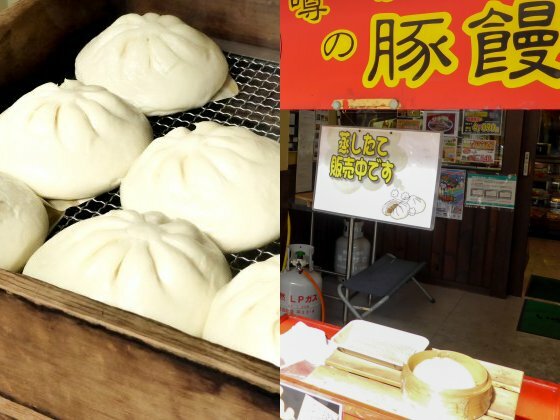 Devil Buns of the Goto Mochi Shop is very popular among locals because the shop owner select sweet potatoes by himself. Shaved ice (kaki-gori) in the summer is also recommended. Takahashi is not a shoe shop but a footwear shop. 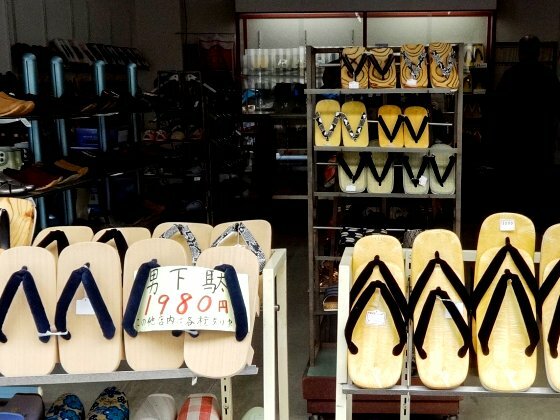 They sell Japanese traditional foot wears such as 'geta' and 'zori'. It feels really good if you wear wooden geta on your bear feet in hot summer. The strings can be adjusted to your feet in the shop. If you like to wear a kimono or a yukata, geta or zori is a must buy item. Fukujuen Tea Shop has been here for more than 60 years just after the World War II. 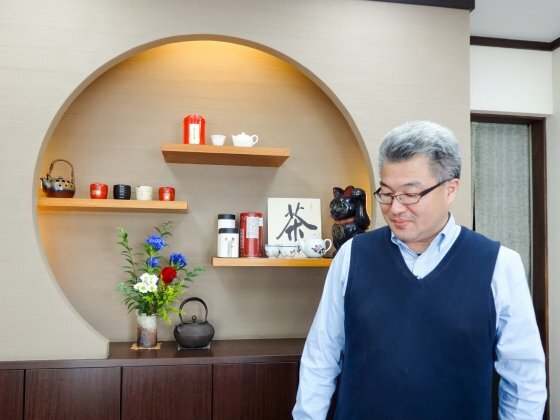 The shop owner has the license of tea tasting issued by the Tea Tasting Techniques Competition in Japan. In the season of new teas every year, the shop owner himself visit tea plantations to select and buy good quality tea leaves. It is a fun to select tea leaves while chatting with the shop owner. If he is not busy, you may get opportunities to taste cups of teas. 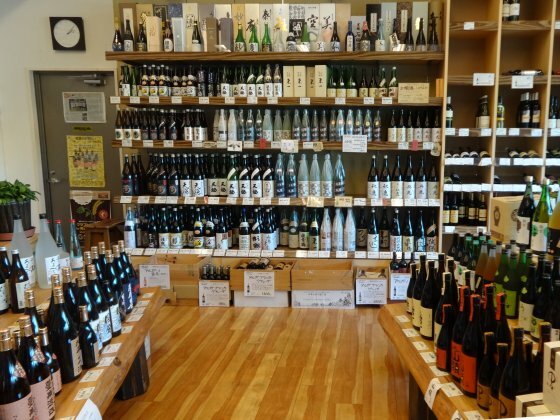 If you are fond of Japanese sake, this shop is a must visit. The shop owner himself visit breweries to find really good sake. Very famous local sake 'Kuheiji', which is also served in some restaurants in Paris may be available in this shop. Many brands of sake displayed in this shop are not available even in the big liquor shops in Tokyo and Nagoya. 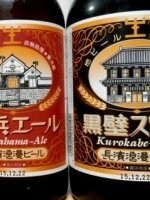 Darumaya has been very popular among local citizens for several decades. 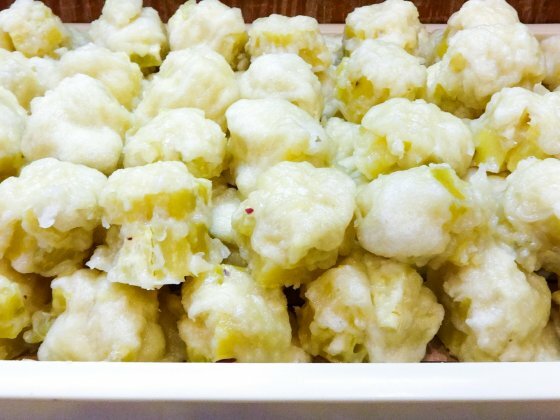 Ankoro-mochi, rice cakes courted with 'an' (sweet red beans), and Mitarashi-dango, skewered rice dumplings, are recommended. In summer, their kaki-gori (shaved ice) attracts many funs and you may find a long queue. 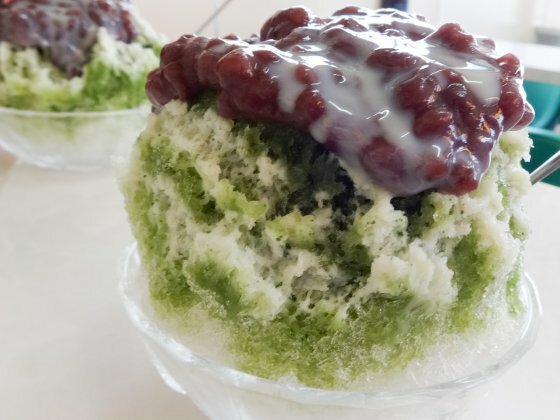 Milk-Uji-Kintoki, the shaved ice topped with handmade 'an', condensed milk, green tea powder, and syrup may be the best. In the middle of the shopping street, there is a restaurant called 'Hinode', which means the Sun rise. They offer a buffet style Japanese cuisine. 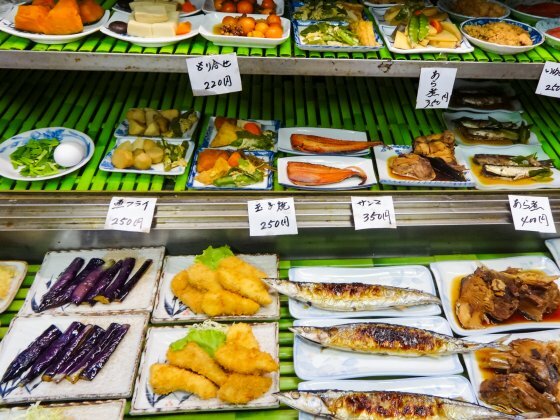 You can pick up whatever you like from the shelves of cooked vegetables and fish dishes. They provide lunch and dinner. At dinner time, they also serve alcohol. 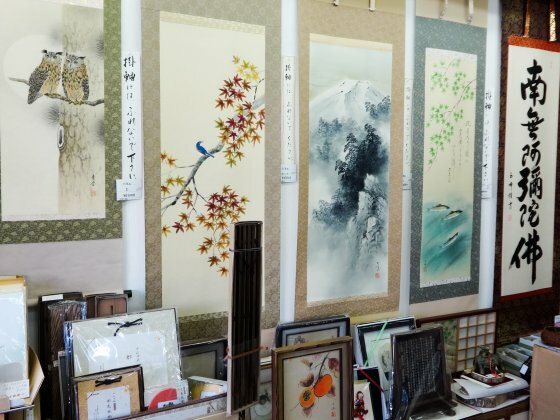 There are many wall-hanging scrolls and colored papers for souvenir. Prices are quite reasonable so you may find your favorite ones! Around Nagoya, 'Morning Service' means a special service of coffee shops. Many coffee shops provide light meals free of charge if you order a drink such as a cup of coffee. Ichinomiya is the origin of this unique 'Morning Service'. Although the 'Morning Service' is provided until 11 am in the most of coffee shops, some coffee shops provide their 'Morning Service' through out the day until evening. Menus of 'Morning Service' differ from shop to shop. There may be boiled eggs, toast, sandwiches, salads and soups. There are even buffet style 'Morning Service'; you can eat as much as you like with a price of a cup of coffee. You can get information about coffee shops that provide 'Morning Service' at the tourist information center of the JR Ichinomiya Station. Just two coffee shops near the station are presented below. A old coffee shop just in front of the station. You always find some locals taking coffee here. For the 'Morning Service', you can choose from sandwich, toast, hotdog, etc. and all of them are house-made. Coffee here is house-roasted. Coffee beans are ground just after the order. Sandwich and toast are available for the 'Morning Service'. You can choose jams and how bread is toasted. In the shop, many paintings are displayed. 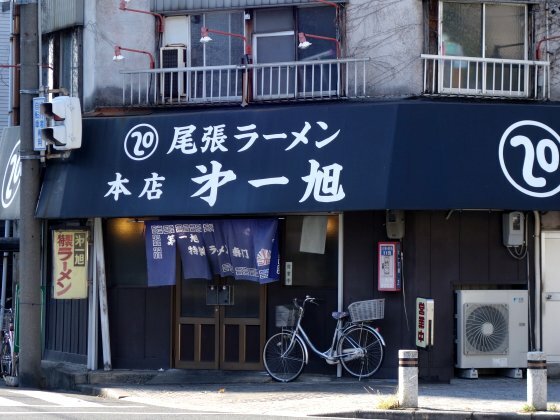 In its heyday, Ichinomiya City hosted many good restaurants. The tradition of eatery still continues now and there are some restaurants in which owner-chefs provide high class cuisine. Ramen Nakamura is built along the wall of the Masumida Shrine. Its depth is only 2 meters and there are only 6 seats available. Although it may look a bit shabby, inside is clean. The owner lady welcomes you with full of smile. Traditional ramen and fried rice, with shoyu-based soup and thick chir siu (roasted pork filet) and bamboo shoots, are all very good. On weekends, there may be a long queue. 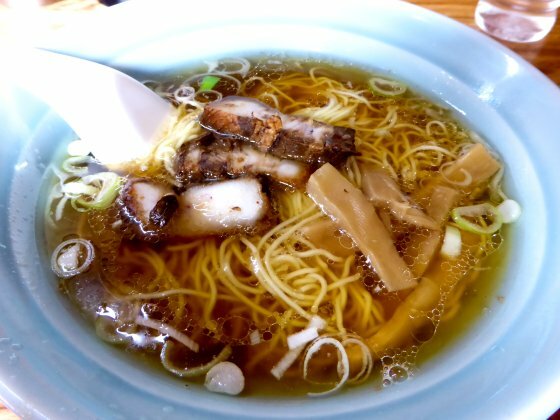 A simple ramen contains a lot of chir siu and looks like a 'chir siu men' (ramen with additional chir siu) in other ramen restaurants. Soup is shoyu based. The special ramen provides even more chir siu so that you cannot see noodles. There are only 10 seats. 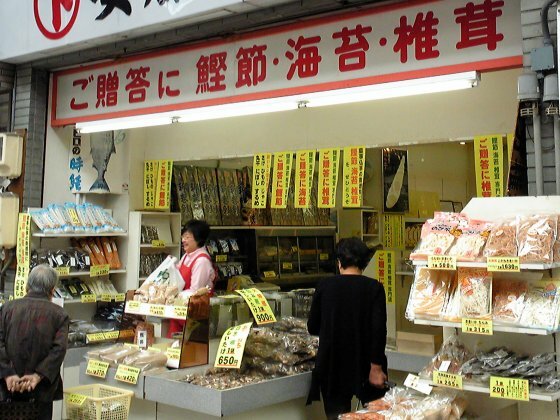 Shinkyo has been here since 1969 as one of the oldest Chinese restaurants in Ichinomiya. Shinkyo is best known as the origin of so-called BetCon Ramen, a special ramen which is only available around Nagoya. BetCon Ramen stands for 'the Best Condition Ramen' with big garlic, Chinese chives and bean sprouts, which are good for health. 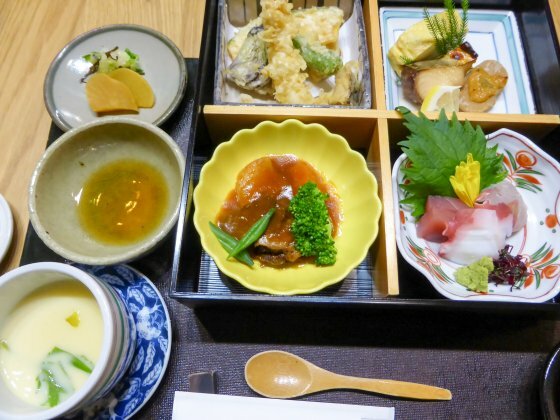 Takara is a ryotei, a type of traditional high-end restaurant. 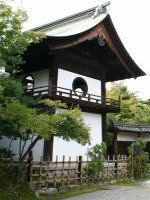 Its architecture is also traditional and you can enjoy Japanese tatami rooms with tokonoma (alcove) and a Japanese style garden. Lunch menu is only a Shokado lunch box and the price is reasonable. Shinetsu is an eel restaurant in front of the Masumida Shrine. The chef was trained in a famous restaurant in Nagoya. They only use selected eels and rice. 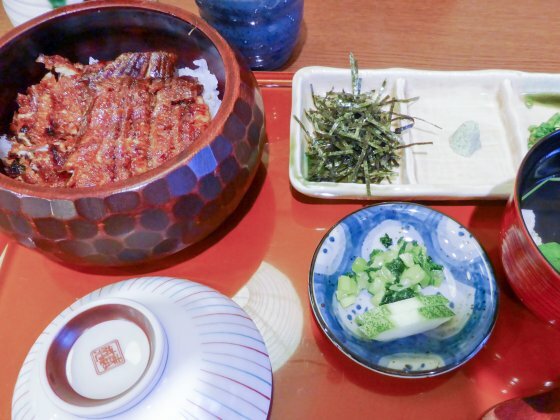 For ladies, a small size 'hitsumabushi' (rice mixed with cooked eels) is recommended. 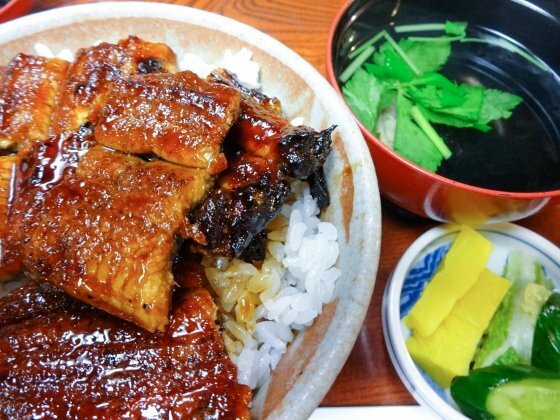 Namazuya is the most popular eel restaurant in Ichinomiya. They do not provide hitsumabushi but their broiled eels are very nice. 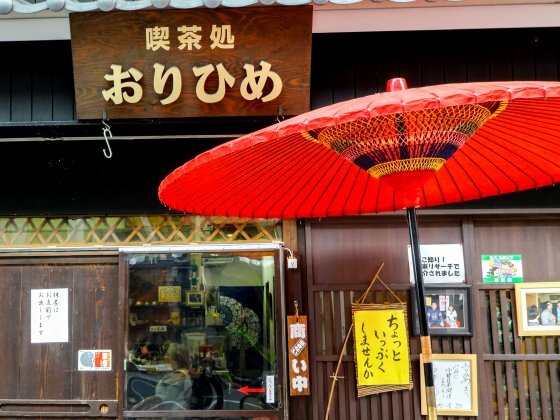 Look for a red Japanese umbrella in the Honmachi Street. You can order a cup of matcha, green tea made from powdered tea leaves with a piece of Japanese sweet. 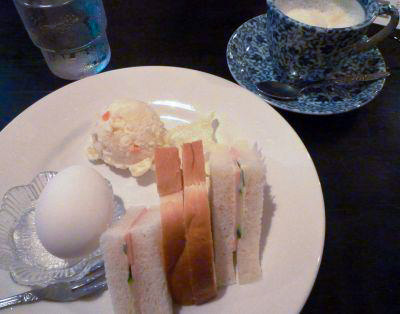 In addition to some drinks and sweets, light meals such as onigiri (rice ball) and udon (thick noodle) are served. 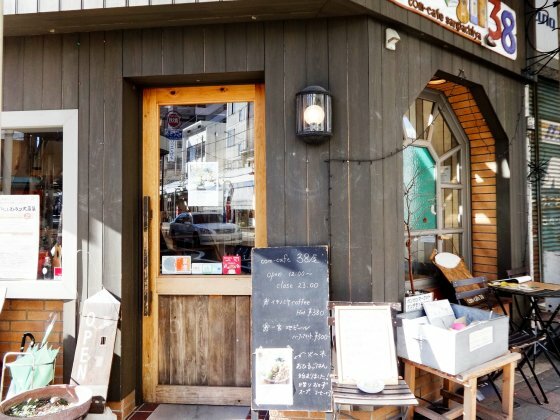 The building of the com-café Sanpachiya is the renovation of a 50-year old wooden coffee shop. 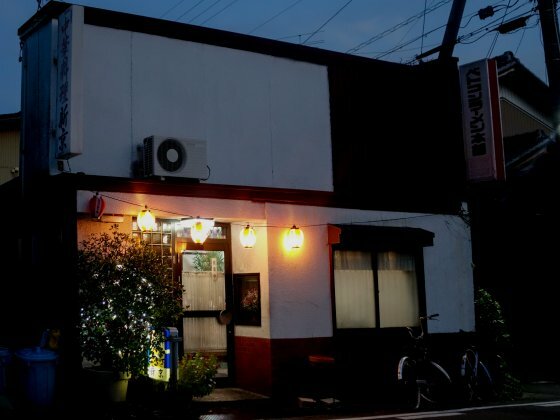 The com-café Sanpachiya is a coffee shop and pub, with the smallest brewery that has only 13 m2. You can enjoy newly brewed beers directly from the brewery. On weekends, many musical events such as jazz lives are held here. In the middle of the Honmachi Street, you can find a small fast food shop, Takoshin. Here you can taste a local okonomiyaki, which is different from the Osaka-type okonomiyaki available everywhere in Japan. They use the shaved dried bonito of Ando above, so their okonomiyaki is really tasty. 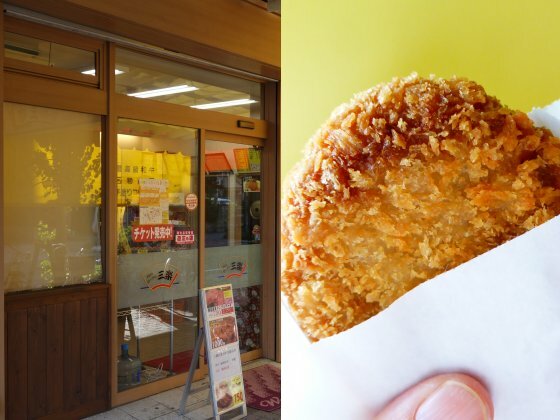 It's basically a meat shop but also provides some cooked meals like croquettes and fried cakes of minced meat. If you feel a bit hungry, just pick up one or two. Essen Sanraku is a meat shop and deli. Home made chir siu (roasted pork filet) and croquettes are very popular. Every winter, they also sell pork buns over the counter.